If you are just looking for a job in a Supermarket then look away now because Aldi is not for you. Aldi is not just a supermarket and doesn’t just offer people jobs. People that work at Aldi tend to stay for a long time, why? Because we are very different. We do things our way, we always have which is why we are such a great employer to work for and one of the fastest growing retailers in the UK. We don’t have unhappy store assistants we have happy, productive staff who all understand what needs to happen to run their store correctly. By joining Aldi you will grow in confidence as everyday you take on energetic and exciting challenges. On top of this you will be given the support and extra rewards that make you feel special. 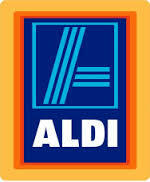 Aldi is different, fresh and special we hope you like it as much as we do! – Rate of pay: £8.15 rising to £9.75 per hour. We require someone who loves rolling up their sleeves to keep the store running as efficiently as possible. A friendly person who loves smiling at customers to cheer up their day. If there’s a queue of customers at the till you will have no problem jumping on a different till to halve their waiting time. You should be thoughtful, flexible and be able to take initiative. Full training will be provided. Additional overtime and extra hours will be available. For full details on Deputy Managers, Store Assistants, Stock Assistants and Caretaker roles apply below. Visit our recruitment site here. Search for a vacancy in your local area. Fill in the online application. Within the application we will also test your key skills such as mental arithmetic, judgement and memory. If you do well on the application then a member of our team will contact you for a short telephone interview. If this goes well then you will be invited for an individual interview or group interview in one of our stores with the area manager.